Photo by Paul LaPann Mae Crislip of Vienna has been a fixture in the retail industry in West Virginia for seven decades. VIENNA — Mae Crislip of Vienna began her career in the retail industry in 1945 and still works at a local department store — 73 years later. Except for taking time off during the birth of her daughter and a few months after retirement, Crislip has worked continuously in stores for seven decades. 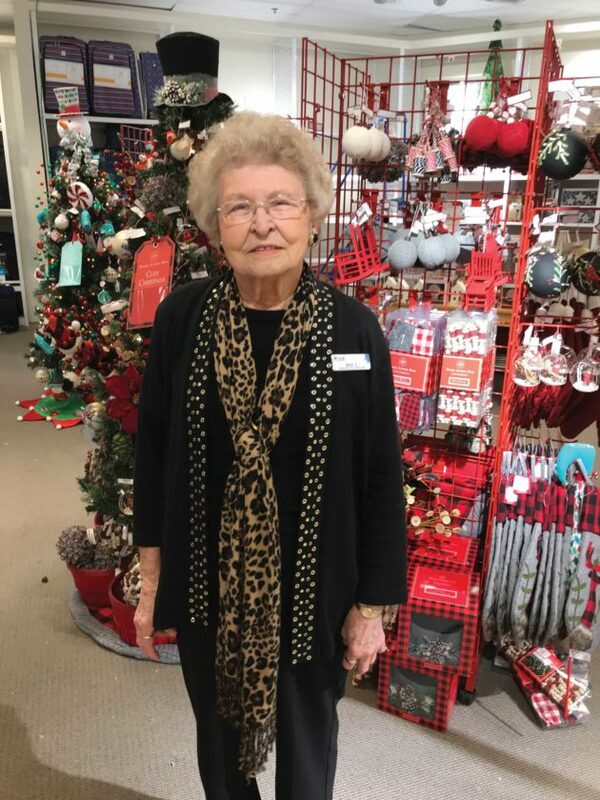 And, at the age of 92, Crislip continues to greet customers with a smile and enjoys waiting on them at Belk department store in Grand Central Mall. “I enjoy it. I am a people person,” Crislip explains about her retail career, which she calls her hobby. People thank her for the customer service she provides, Crislip said. Crislip has no plans to retire from her part-time job in the Home Department at Belk. She enjoys visits from former co-workers and customers who stop by to see her at Belk. Melba Kirk, sales lead in the Home Department at Belk, has worked with Crislip for a year. “She (Crislip) is amazing. She can outwork most of the younger sales associates,” Kirk said. Crislip will ask the manager what she can do at the store, Kirk said. “I enjoy working with Mae,” Kirk added. Born in Looneyville, Roane County on Feb. 3, 1926, Crislip graduated from Spencer High School in 1945. 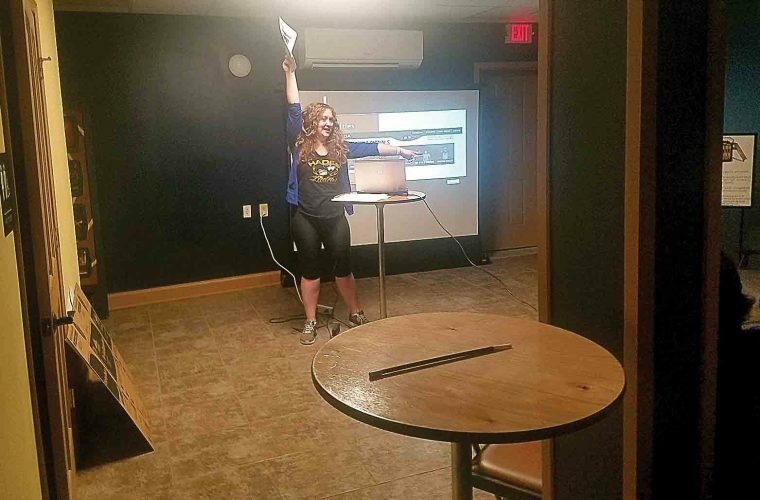 After graduation she immediately went to work at a drugstore in Spencer. After two years working in Spencer, she moved to Charleston with her husband, Laken, and worked at the Diamond department store in the women’s-ready-to-wear department. Four years later, Crislip went to work for Dils Brothers and Company Department Store on Market Street in Parkersburg. She later worked for Embees department store on Market Street as manager for 17 years and another 13 years at Embees in Grand Central Mall before the store went out of business, Crislip said. Crislip returned to Dils Department Store as manager of the mall store for three years before it closed. She then worked for Pianelli’s dress shop on Market Street for two years. But Crislip missed working at Grand Central Mall so she returned there to work at Stone & Thomas, which became Elder-Beerman. Crislip retired, at the age of 79, from Elder-Beerman after working there for 15 years. After being home for a few months, Crislip said, she decided to rejoin the workforce on a part-time basis at Belk in the mall, where she has worked for about 13 years. “I hated to stay home. I wanted to see people,” she said. She enjoys working in home sales at Belk after spending many years in “ready-to-wear,” Crislip said. 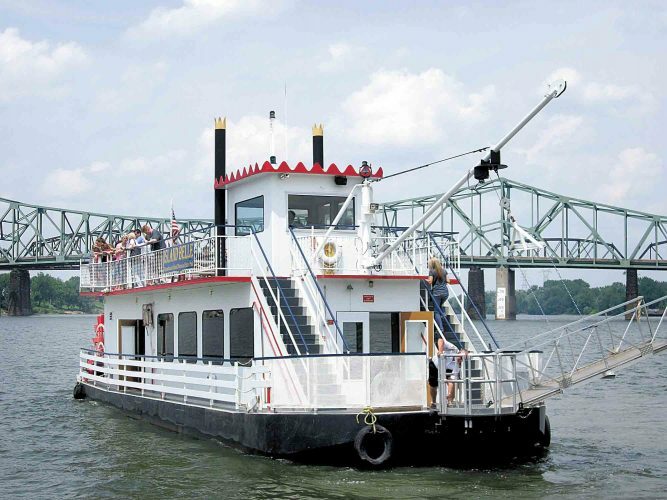 Crislip said she loved working in downtown Parkersburg stores during the bustling business years. “There were lots of dress shops downtown,” she said, and the Wilmar Cafeteria and Chancellor Hotel. “I have worked in a lot of good stores,” Crislip said, looking back on her career, which includes 33 years in management. She is a member of St. John United Methodist Church in Vienna. “I have had a busy life but it has been enjoyable,” Crislip said. She is the oldest of eight children in her family, attended a one-room school and grew up on a farm in Roane County. Crislip was born at home and remembers walking two or three miles to stores as a youngster. “Growing up in the country, you go right to work and work all your life,” Crislip said.